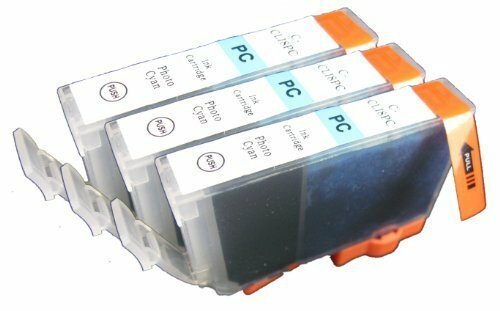 3pk non-OEM Canon CLI-8 Photo Cyan Compatible Ink Cartridge With CHIP! For Canon Pro9000 MP960 MP050 ip6700D! Brand new non OEM canon compatible with new chip! Ink level indicator will function properly. Ink made in the USA!